Putting you in control of managing your Cognos environment is what we do. Identify all objects that will be impacted by changes made to the database. Security made simple and easy with your security settings all in one location. Answer any question about your Cognos environment. Promoting content has never been as easy or risk free. The complete data chain presented in ways that you can see how it’s all connected. All of your content is automatically documented and kept current. 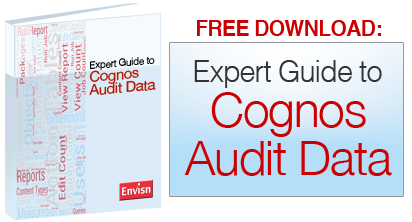 Harness Cognos audit data across your environments for complete coverage of who, what, when in terms of usage. Fully automate the production and scheduling of everything including cubes, reports and queries.